Wayne Rooney is just 2-5 from 5-2 with Coral to rejoin Everton after the firm said they had seen money for the striker to make a sensational return home to Merseyside. The Manchester United man has long been linked with a Goodison Park renaissance and the move looks to be edging closer after a season in which the England skipper was used sparingly by United boss Jose Mourinho. 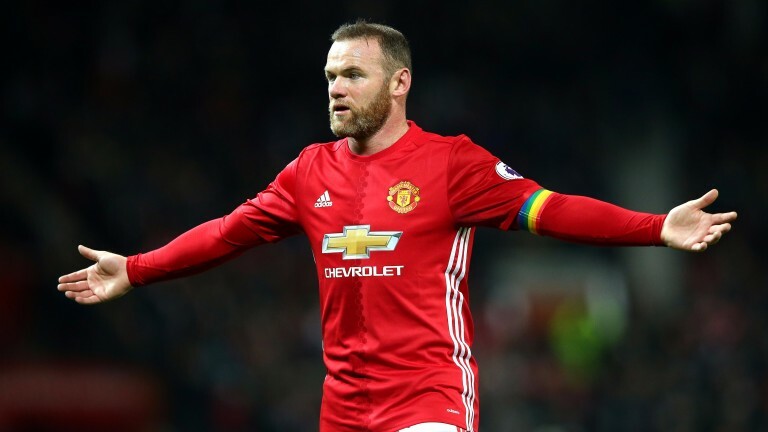 Everton are his expected destination while it's 5-2 that Rooney heads for China, which had been Coral's favourite previously, and 8-1 that he joins an MLS side. Coral go 1-4 that Real Madrid striker Alvaro Morata is the man who would replace Rooney at Old Trafford, while his Madrid teammate James Rodriguez is 6-4 to head to join the Europa League champions. The Toffees secured the signings of another two players on Monday. Spanish under-21 star Sandro Ramirez, scorer of 16 goals in 31 La Liga appearances last season, moved from Malaga, and centre-back Michael Keane joined Ronald Koeman's revolution after Everton struck a deal with Burnley for a fee which could rise to £30m. Koeman has already snapped up goalkeeper Jordan Pickford, midfielder Davy Klaassen and forward Henry Onyekuru in a busy summer and they are 12-1 with Paddy Power to break into the top four next season. Arsenal are 1-5 with Coral to sign Leicester playmaker Riyad Mahrez, while striker Alexandre Lacazette is said to be on the verge of joining the Gunners. Alexis Sanchez could be the man to make way for Lacazette and the Chile star is 8-13 with Betway to have moved to Manchester City by the end of the transfer window. It's 6-4 that he stays at Arsenal and 6-1 that he lands at Bayern Munich. John Terry ended his 22-year association with Chelsea on Monday and joined Sky Bet Championship side Aston Villa on a one-year deal. Terry, who played 717 times for the Blues and won five Premier League titles, is expected to play a key role for the Villans and they are as short as 13-2 with bet365 to win the Sky Bet Championship. Coral are best at 15-2 about the glory days returning to Villa Park next season. Villa are 6-4 with bet365 to be top Midlands club next season ahead of 3-1 Derby, 4-1 Wolves and Birmingham at 5-1, who were also reportedly keen on securing Terry's services. Terry is 7-4 to lead his new side to promotion and he is 5-1 to score on his debut against Hull. Fulham are 10-1 third favourites behind Villa with Betfair and Paddy Power for Championship glory and they were handed a boost on Monday when highly-rated midfielder Tom Cairney signed an extension to his contract that will keep him at Craven Cottage until 2021. Germany are 11-2 favourites to win next year's World Cup in Russia after winning the Confederations Cup in St Petersburg on Sunday. Lars Stindl's early goal was enough to see off Chile in the dress rehearsal tournament before the big one next summer. Chile are 33-1 to go one better in 2018, while Brazil are 7-1 second favourites.